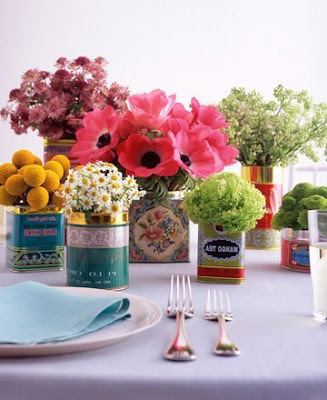 Tin cans! 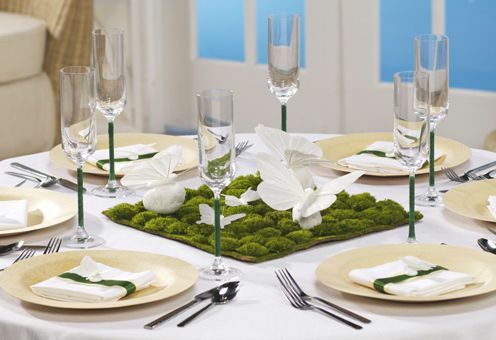 Yes...you all have them but I bet you never thought to put flowers in them? 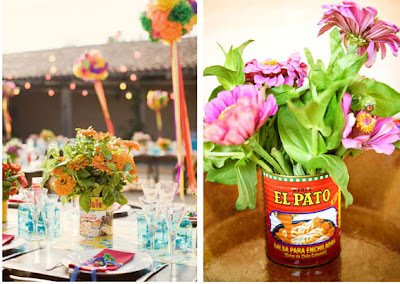 Well, check out these colorful cans used for a Mexican inspired Rehearsal dinner (source). And for all those tea drinkers...save your tins to create a gorgeous display of flowers like this one from Martha Stewart. 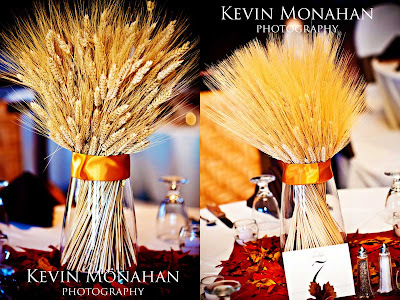 And I absolutely LOVE this sweet and simple centerpiece that requires almost NO EFFORT! Simple peel the labels off, tie some ribbon or string around them, and they're ready for flowers! 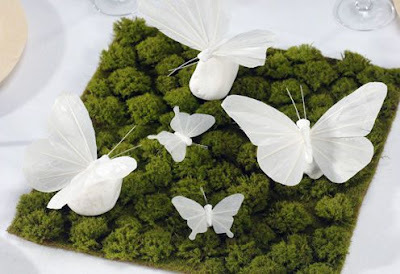 I'm not sure what you call this...Moss Garden Butterfly centerpiece? But I love it!!!! This is such a unique idea, and will give your guests a great conversation piece. Learn how to make your own here. Here is another trend that I am pleasantly surprised to find a lot of...Wheat! 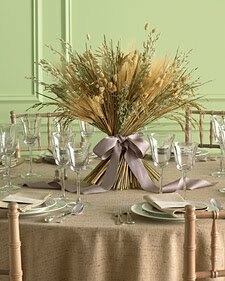 You can simply tie a bunch of wheat stalks together with a nice ribbon, and viola...instant centerpiece. 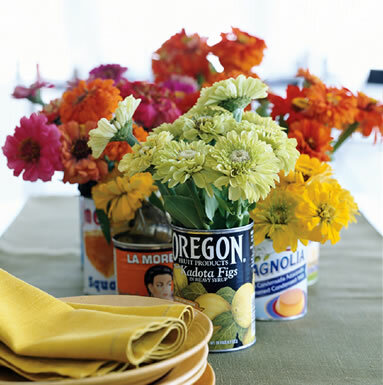 So next time your throwing a party...think outside the vase. There are so many Do-it-Yourself projects that are easy, fun, affordable and to quote the Guinness commercial - BRILLIANT!!!!! 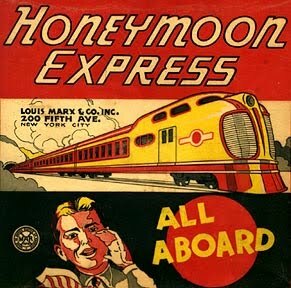 How about taking your honeymoon or next vacation by train? With so much beauty right here in North America...why deal with congested airports, crammed seating, sick people and airport delays, when you can just hop on a train and be on your way. 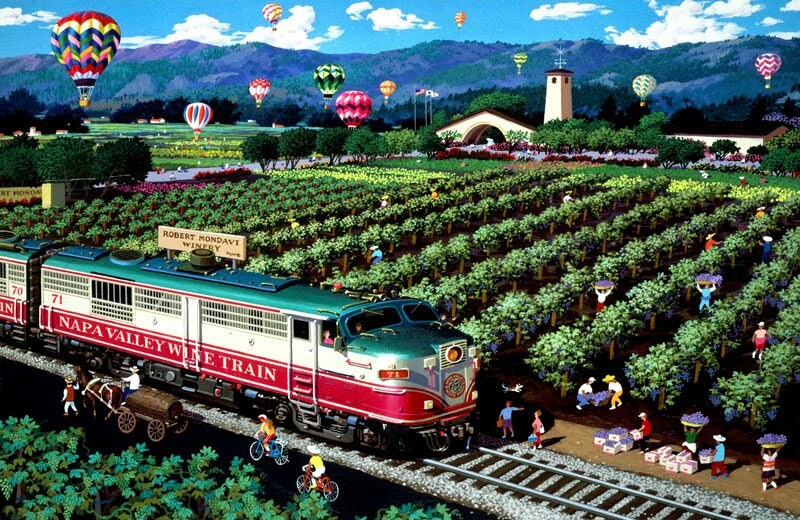 Traveling by train is one of the best ways to be green, reduce our carbon emissions, and save resources. It pollutes less than the airplane, and it is better for the environment than driving alone. 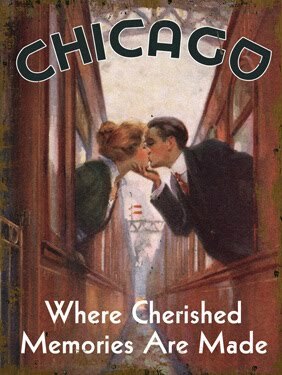 And not to mention, it's kind of romantic if you ask me! 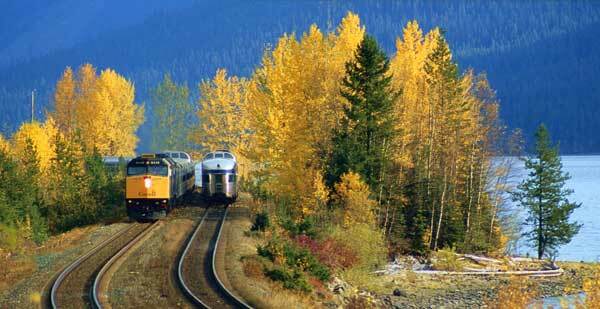 And for a real treat, take a train across Canada and witness some of our earth's most majestic scenery. 1. The California Zephyr - This route links the Land of Lincoln with the Golden State. It zips through the Rockies, the Sierra Nevada's and across the lonely American plains. 2. The Canadian - This trip, hailed as the ultimate Canadian train experience, will take you from Toronto to Vancouver. 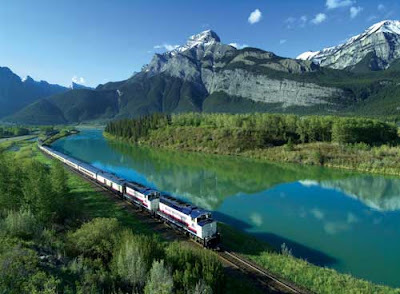 See the Canadian prairie, scenic lake-lands and witness the Rocky Mountains. If you've seen the American Rockies and were impressed, you can be impressed by them again in a whole different country! 3. 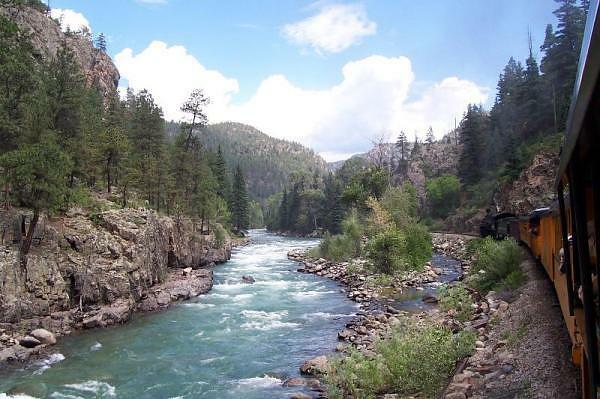 The Copper Canyon Route - Reader's Digest called this route "the most dramatic train ride in the western hemisphere." Start in El Paso and end at Pacific port of Topolobampo. Gaze in awe at the Copper Canyon, a canyon larger and more coppery than the Grand One. Cross the treacherous Sierra Madre, a mountain range so dubious that building a train route through it was considered impossible. They did, however, decide at some point that it wasn't impossible. 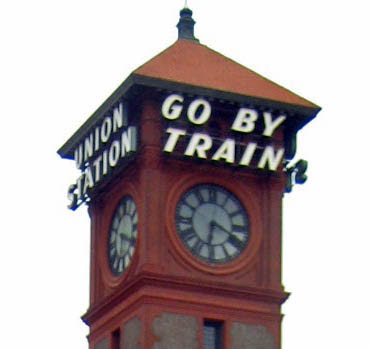 And for comprehensive look at train vacations in your area, we like Vacations by Rail. 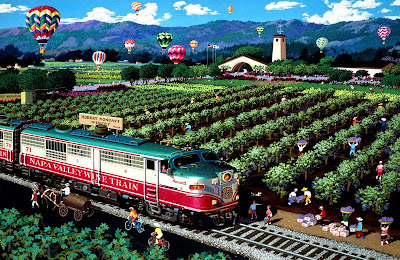 So for your next vacation...GET ON THE GREEN TRAIN!! !